I was asked to look at this website that you make a tshirt and sell them to raise money. My first thought was, that’s a good concept I definitely need to take a look at it. 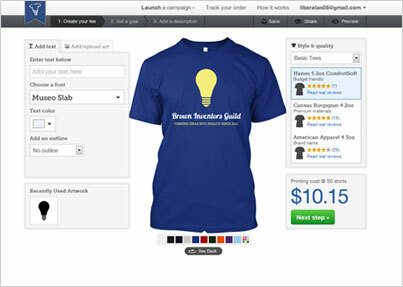 Teespring is a great site that allows you to make a shirt and promote it. The biggest part is that you don’t need to buy a bunch a shirts and worry about selling them all to make any money. Plus they ship the shirts to the people who order. I love this idea. 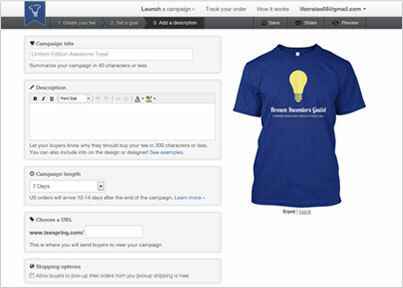 I think the hardest part would be getting the shirts to the customers especially if you do an online campaign. I would have to spend my own money to mail. It was such a simple process. All I did was login, create the shirt I wanted. Then you choose how many you would like to sell, in order for them to be printed. Once that’s done all you do is set a title, description, link your website or explain your case. Like I said super easy. This is a great idea if your raising money for a cause, or even just wanting to make a few extra bucks. Go to their site and start yours. The Nurse Mommy has created a tshirt (women's cut so it's more flattering). We want to raise money to help moms in need. In the past we have helped girls in the past with medical emergencies such as a baby that was born at 23 weeks 3 days, a mom whose husband lost his leg to an IED while serving in Afghanistan and also a mom whose mom was in the hospital and she had to tend to everything and it caused a financial burden. We hope you can help us. Go to HERE today and order. We appreciate it more than you know. We need at least 20 orders by Nov 12 for it to be printed and shipped. Great designs thanks for sharing!Crowdfunding has now become an effective and reliable way of raising funds that a lot of people who are in need are benefiting from it. You can also check http://www.plumfund.com/ and learn more about the benefits of crowdfunding. 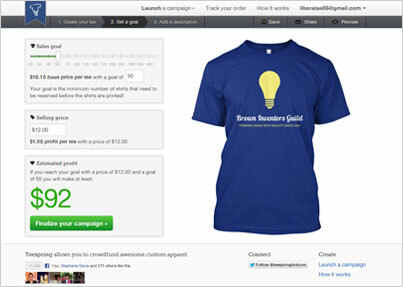 Great t-shirt designs thanks for sharing Crowdfunding is another effective way to easily raise and donate funds and more people are benefiting from it everyday. Check out crowdfunding platforms like http://www.plumfund.com/ to learn more about its benefits.